Well the weekends been and gone and we’re here again for another Geekly Review. 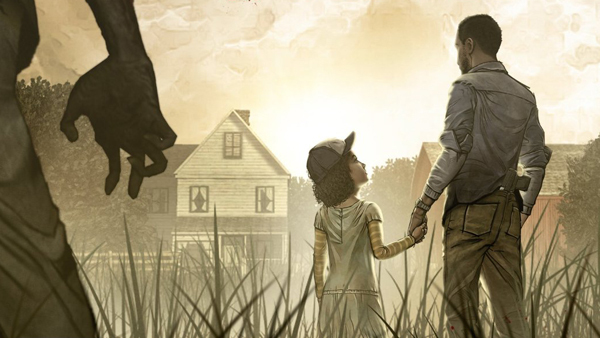 In last week’s Geekly Reivew I mentioned that my wife had got me season one of The Walking Dead for PlayStation 4. So since then It’s been my go to game to play. I completed it on the weekend along with the 400 days DLC that came with it. I know it’s very late to the party playing this game but what an incredible game it was. I loved that decisions come back up some times 3 episodes later on and emotion of it all. Wow. I had heard the 400 days DLC wasn’t as great as the actual season 1 game. And I agree it wasn’t brilliant. I did like that one of the decisions for one of the new characters resulted in seeing the corpse of someone that was killed from the season one game. Friday night I was over a friends house with some old work colleagues for our 2 monthly gaming session. We tend to take it in turns playing different consoles. So far we’d done a 360 night, Wii U Night and a PS3 night. But on this occasion we went for an XboxOne night. The guys were all jibing at me as I was the only one without an XboxOne. This was their chance to sell me one. It didn’t go great as the first 2 games we played Rayman Legends and Tomb Raider: Temple of Osiris kept glitching out with sound and freezing on us. Good start. Fun games though on 4 player. Next up we played some Halo Master Chief collection on 4 player split screen. We did Ascension on Halo 2. I’ve not played a Halo game since 4, but naturally I won. With not much success we went to PS3 for some 2012 Olympics and then ended the night with the standard Fronks flinging game on WarioWare and Mario Kart 8 on 200cc mode. Their was many choice swear words. Saturday as mentioned above I completed the Walking Dead and the 400 Days DLC. But this time of year in the football season always gets me in the mood for Football Manager. So I picked up on my save that I last played in October of last year. So continued with that for a few hours on Saturday. Opting to have a lazy Sunday I watched the F1, Had a few pints at the pub with my brother and dad then spent the evening on the PS4 again. I completed last months PS+ title Never Alone. I really really enjoyed it up till a certain point (Which I’ll avoid saying to not give spoilers away) then It was a case of wishing the level to end. But still a great game that I got all trophies for. After that I started Ether One and played that for a few hours but didn’t really understand much of what was going on. So I moved onto Unfinished Swan which is simply fantastic. First time playing it and loved it, I couldn’t put it down. I ended up completing it without really realizing how long i’d been playing it for. I’ve not got all the balloons on it, so that’ll be done via chapter select. Great unique game though. The last seven days haven’t been all the Geeky for me. I think I’m just having one of those weeks were I don’t really feel like playing too much. 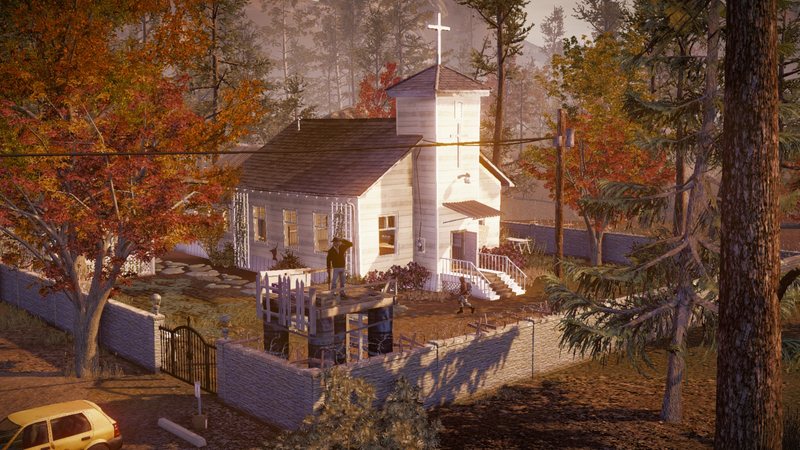 Although I did start playing State of Decay. I’ve only played for around 2 hours so far, so I haven’t really got to in to it just yet, but my initial feelings are good. The combat is fun, it’s easy to pick up, and it has a really nice look to it. I feel like I need to play a little more of it to really get a good feel for the game though, and I will be spending a lot more time on it this week, so expect a little more in-depth info next week. One thing I’ve noticed though, is that the game seems to suffer from a few frame rate issues when you’re driving. Whilst it’s not a major problem, it is still kind of noticeable. With the new Destiny expansion coming next week, I also started playing that a little bit this week, just to see if I still had ‘it’ – turns out I do. 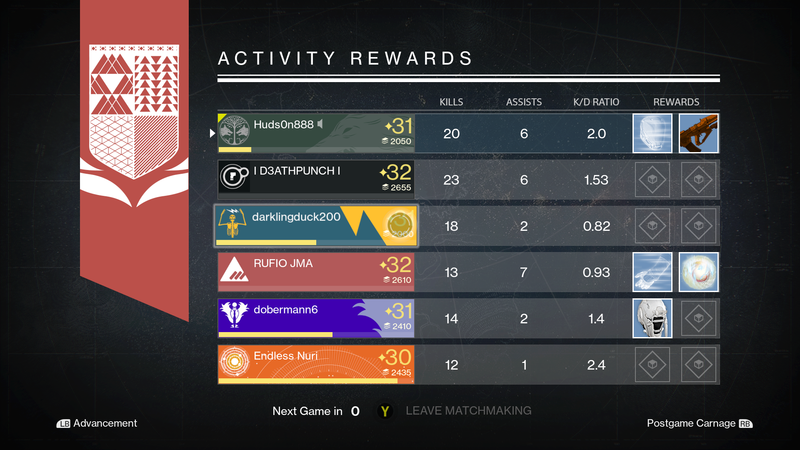 I jumped back in to some Crucible matches, and was managing to finish in the top 2 for most of the games. Seeing as I’d been away for over 2 months I thought I might be a little bit rusty, but it’s just like riding a bike. I’m hoping for some good things from the House of Wolves, I feel like Bungie are really making the effort to appease the fans and atone for their earlier errors and mistakes. But, as they say, the proof is in the pudding, and next week we shall find out it if lives up to the promise. We recently got some news that some pretty big changes will be happening in Elite: Dangerous. Up to now, the factions in Elite have been kind of anonymous and faceless and whether you’ve been involved in faction wars has – in my experience, been a little confusing or hard to tell, but a new update is going to completely revamp all of that with the addition of ‘Powers’. What that means, is that now when you join a faction, you’ll have a much more intimate involvement with the day-to-day goings on of said faction. You can read more about it here. I can’t wait for this game to come to Xbox One! As I’m sure most of you Destiny follows will know, House of Wolves releases next week. Last week we got to take a first look at the new co-op game mode called the Prison of Elders earlier in the week we did a big write up on what exactly you can expect from the game mode. Check out all the info here. 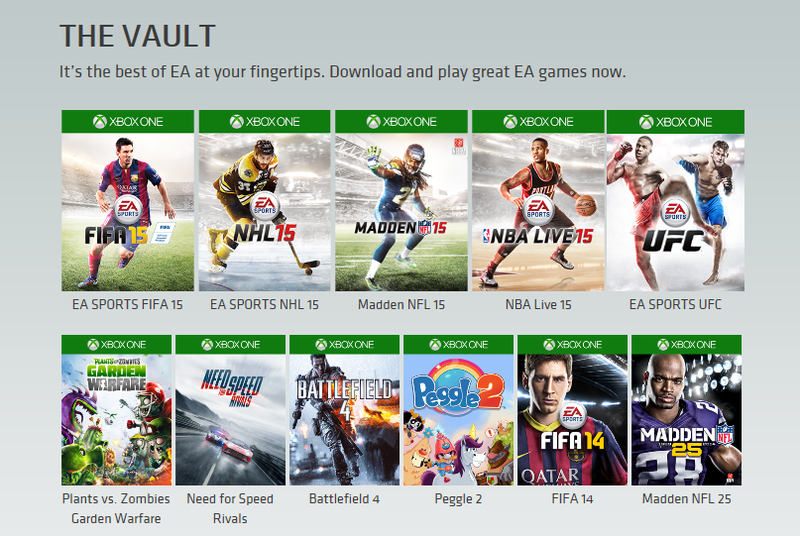 A new addition to the EA Access vault was announced last week, and that game was Fifa 15. To be honest, I was actually pretty surprised by this. The game has been out for less than a year, and I kind of expected it to be added when Fifa 16 comes about. All these games for £20! The news has actually made me kind of want to sign up again for EA Access, as I wouldn’t mind having a play on Fifa, plus I’ve kind of wanted to play Battlefield 4 again recently. For £3.99 a month or £19.99 for the year, it’s a bit of steal really. So this is something we reported last week, but I figure it’s worth adding as a footnote to the weekly news round up based on how important it could be to the future of the Marvel Cinematic Universe. 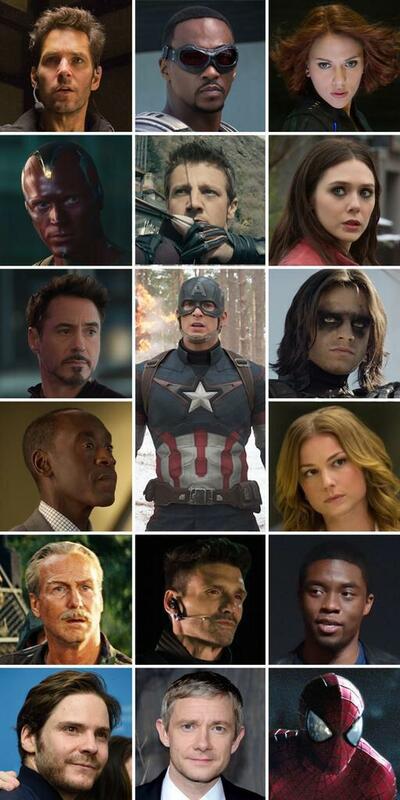 The 3rd Captain America movie Civil War is shaping up to rival The Avengers: Age of Ultron in terms of volume of hero’s all on screen in one film. Yet to be confirmed are Spiderman and Nick Fury, but we’ve already had unofficial confirmations that the web slinger will debut in this film. A refresh of the hero’s you’ll be seeing can be seen below.